For Christmas, my brother Jon gifted me a selection of beers from the well respected Scottish Brewery Harviestoun. 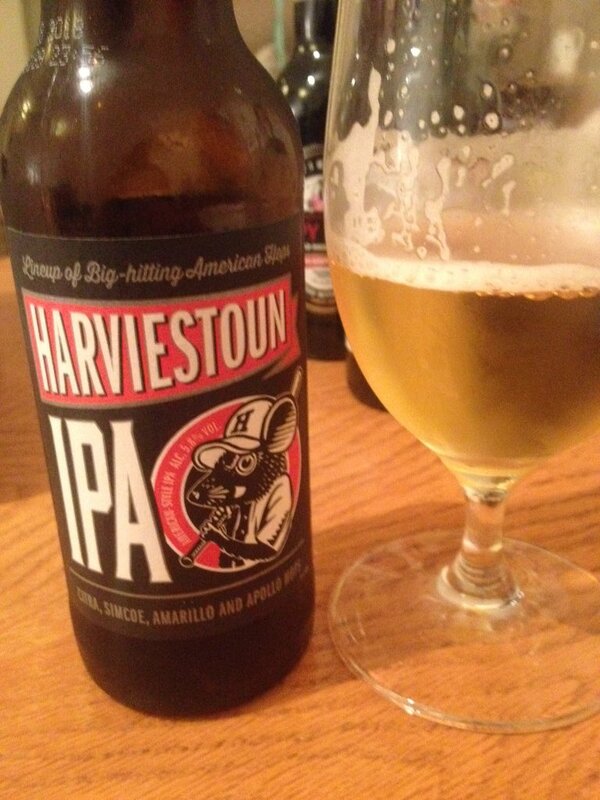 Harviestoun Brewery are located in the small Lowlands town of Alva, Clackmannanshire. 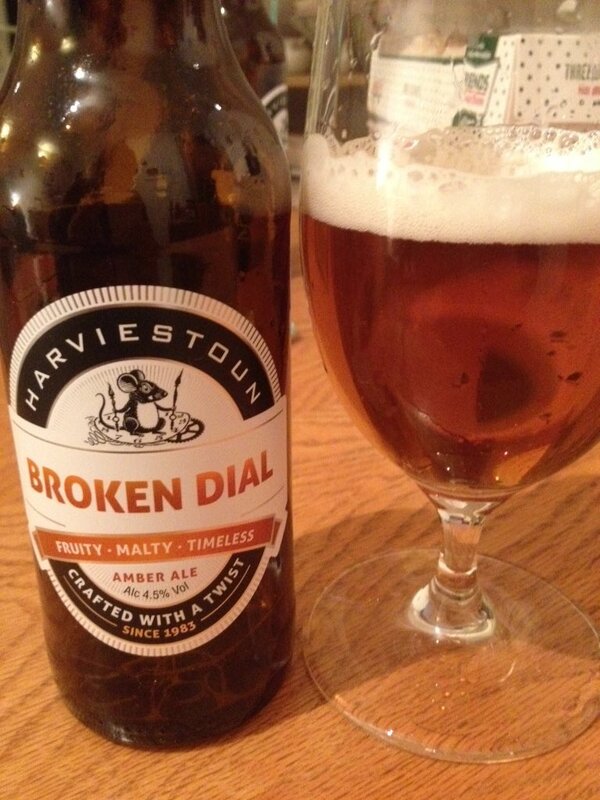 Founded in 1983, Harviestoun were one of the pioneers of the microbrewery movement in Scotland. There most well known beers are Bitter and Twisted (CBOB in 2003) and Old Engine Oil – a beer with many spin offs. Here’s my take on the beers I tried. Bitter and Twisted – this really was a very good Golden Ale. Very well balanced with a light citrus note present throughout. I can see why it won CBOB as it’s very satisfying and like many other winners of the accolade, you’d struggle to dislike the beer. It would make for a very rewarding pint on a Summer’s day. Broken Dial 4.5% – A classic amber ale in terms of body but New World Hops take the lead. Simcoe is particularly evident; giving a fruity bitter flavour. An okay beer. 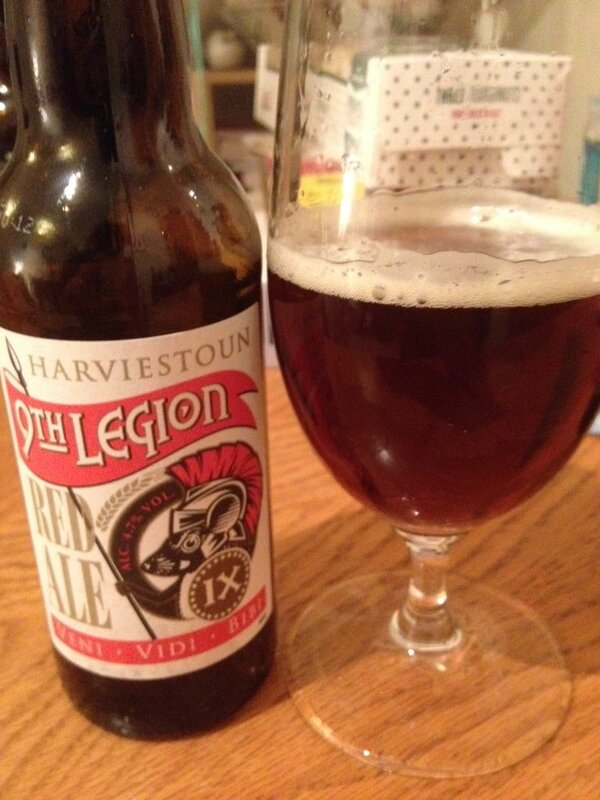 9th Legion Red Ale – A very smooth, almost creamy ale with a dominant sweet malty flavour. Okay but lacking somewhat. IPA – a very well balanced IPA. Crisp in mouthfeel with a fruitiness which isn’t overcome by bitterness. Although personally I’d have liked a touch more bite. 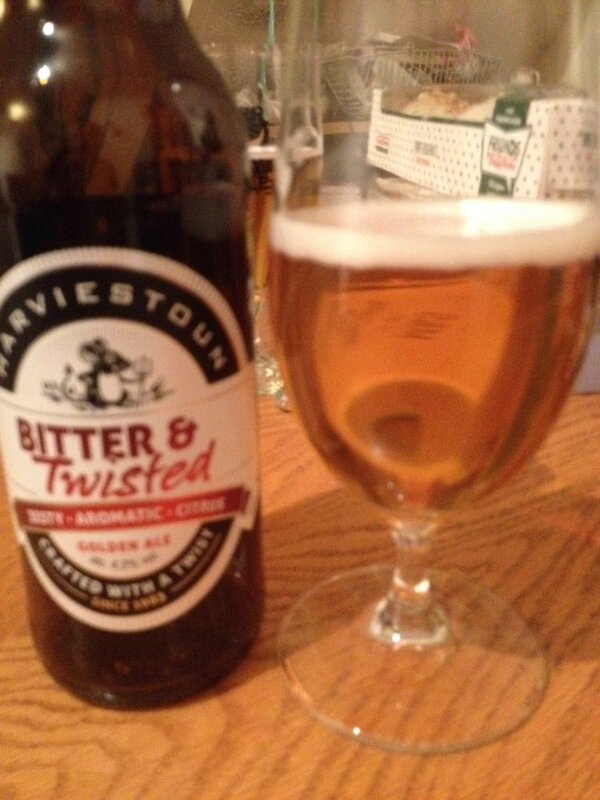 This beer has proven quite popular for Harviestoun and I notice that Waitrose regularly stock it. I can see why. It’s fragrant and offers enough contemporary IPA characteristics without being overbearing. 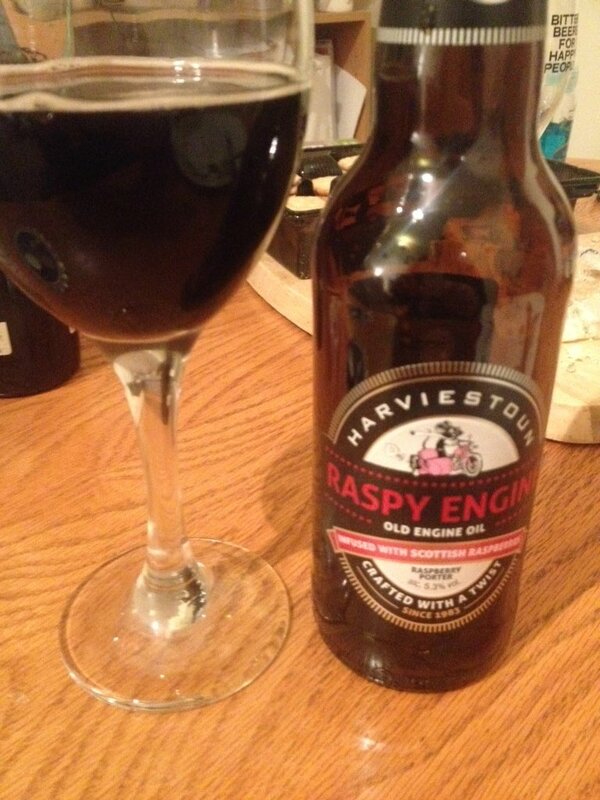 Raspy Engine – This is Harviestoun’s classic Old Engine Oil infused with raspberries. This was a pleasant surprise. It was very enjoyable as the raspberries don’t dominate and instead offer a sweet, subtly aromatic undertone to this beer. 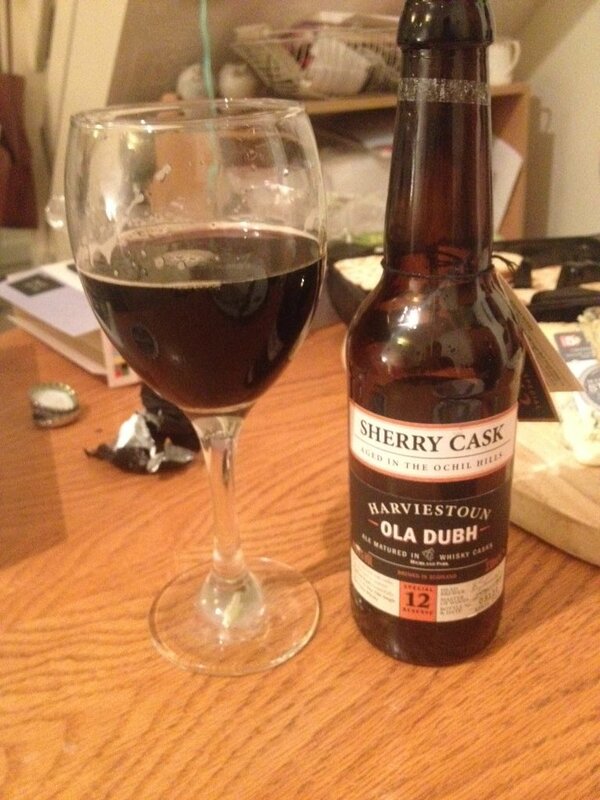 Ola Dubh – This is a beer which has proven very popular for Harviestoun (particularly in the U.S.). This is Old Engine Oil aged in sherry casks which were previously occupied by 12 year old Single Malt from the Higland Park distillery. There are other versions of this beer available ( I now want to try all the different versions!). This beer was a wonderfully complex beer rich in sweet flavours. Well worth trying! So overall, the Harviestoun beers were all very pleasant; with Ola Dubh a major star of the show. Old Engine Oil and its many incarnations will be what this Brewery will continue to be famed for. An excellent beer. This entry was posted on January 16, 2017 by Chris Stone in Beers, Breweries and tagged ale, Beer, Beer Shops, Beers, Bottled Beer, bottled beers, Craft Beer, Microbrewery, Real Ale, real ales.